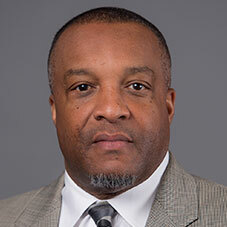 Cooper brings more than 30 years of coaching experience to Arkansas, including 10 as a head coach on the collegiate level, and he has served four stints as a defensive coordinator. He has also worked one year in the NFL as a defensive backs coach while making stops at four other SEC schools during his career. Prior to Texas A&M, Cooper served as the interim head coach at FIU for the final eight games of the 2016 season. Cooper also served as head coach at Eastern Michigan (1993-94), Louisville (1995-97) and Alabama A&M (1998-2001). Cooper spent two seasons at FIU with the first as the team’s assistant head coach and defensive backs coach in 2015. He was elevated to the Panthers’ defensive coordinator in 2016 before leading FIU to a 4-4 records as the interim head coach. Prior to FIU, Cooper served as the assistant head coach and defensive backs coach at South Florida from 2013-14. He helped lead the Bulls to a team record 20-plus takeaways each season and the defense scored four touchdowns. He coached one season in the NFL as the defensive backs coach for the Tampa Bay Buccaneers in 2012.
Cooper has deep ties to Arkansas defensive coordinator John Chavis, having served as the LSU secondary coach under Chavis from 2009-11. He mentored one of the top secondary rooms in the country, highlighted by national award winners Morris Claiborne, Patrick Peterson and Tyrann Mathieu. In both 2010 and 2011, Cooper and the Tigers defense featured the Thorpe Award winner (nation’s top defensive back) in Patrick Peterson in 2010 and Claiborne in 2011, as well as the Bednarik Award winner (nation’s top defender) in Peterson and Mathieu in 2011. LSU was also home to the SEC Defensive Player of the Year in Peterson (2010), Mathieu (2011 by AP) and Claiborne (2011 by Coaches). Cooper also made stops in the SEC at South Carolina (2004-08) and Mississippi State (2003). In 2008, Cooper assisted with a defense that ranked No. 1 in the SEC and No. 2 in the nation in pass defense, allowing just 160 yards per game. With the Gamecocks, Cooper helped lead the team to appearances in the 2005 Independence Bowl, 2006 Liberty Bowl and 2009 Outback Bowl. He broke into the head coaching ranks with Eastern Michigan and went on to become head coach at Louisville and Alabama A&M. Cooper’s 1995 Louisville team led the nation in takeaways and finished No. 9 nationally in scoring defense. The following season, the Cardinals ranked No. 4 in both total defense and rushing defense. At Alabama A&M, Cooper guided the Bulldogs to the Southwestern Athletic Conference Championship Game in 2000. His squad led the nation in rushing defense and they ranked No. 8 nationally in scoring defense. He also discovered defensive end Robert Mathis and coached him in his first three collegiate seasons. Mathis went on to a 14-year NFL career with the Colts, making six Pro Bowls and earning AFC Defensive Player of the Year honors in 2013. Before becoming the head coach at Eastern Michigan, Cooper served as an assistant coach at Notre Dame (1991-92), helping the Irish to victories in the 1992 Sugar Bowl and 1993 Cotton Bowl. Cooper also served coaching stints at UNLV (1990), East Carolina (1989), Murray State (1987-88), Austin Peay (1985-86), Minnesota (1984) and Appalachian State (1983). As a player, Cooper was a four-year letterman at Jacksonville State, where he helped the Gamecocks to Gulf South Conference titles in 1981 and 1982. Cooper played in the NCAA Div. II playoff three times during his career, including a semifinal run in 1982.